We all do, say, and think cringe-worthy stuff from time to time. We’ve done it in our personal lives, we’ve done it at work, we’ve done it the dinner table. I know I’ve spent A LOT of mental and emotional energy in the past, hashing and rehashing something I said (or didn’t say but wished I had). That is not a pretty process, let me tell you. There’s been a lot of self-judgment happening in the crazy-town between my ears. 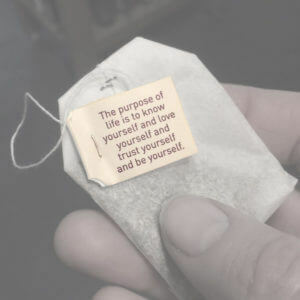 But that’s ok, because honestly, this is how we practice self-awareness. We review who we have been, how we have shown up, and the stuff that came through our words and actions. Self-acceptance says, “That wasn’t my best moment, I see that now. But I also see what I can do better, and Ima headin’ in that direction, stat.” That’s growth, baby, so go on, brush your shoulders off, and e v o l v e .
Self-acceptance leads to mad self-confidence. Which is super impactful in our personal lives, but also in our professional lives. When we can accept the fact that we’re going to screw up from time to time – and that its ok and perfectly natural – we are more willing to put ourselves out there, to take initiative, and to offer up our juicy creative ideas. We feel we can take more risks, but also seize greater opportunities. This is a win for the individual, but also for the organization and for society at large. We all stand to benefit from the amazing creative ideas brewing inside each and every one of us. It’s such a beautiful and humbling thing to witness people transform self-judgment into self-acceptance literally before your eyes. One of my star clients (OK, they’re all super stars!) who went to the Flourish Gym with particular gusto, learned to shed her insecure skin. She really grew into her potential through the healing we accomplished together, plus her dedicated practices of awareness and acceptance. With grace and ease, she simply stepped into new roles at work. She’s particularly good at what she does, but without the insecurity and judgment holding her back, she began to really shine. Which led to a promotion and pay raise without her asking for it. How freakin’ cool is that? To get paid to evolve? Titles and raises are awesome, but feeling seen and heard, and being appreciated for your growth and for the effort and creativity you contribute is even more meaningful. Wanna shed your skin and step into your greatness? 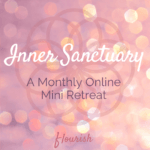 Join us for Inner Sanctuary, my monthly online mini retreat series designed to foster increased self-awareness and self-acceptance. Wanna get to your greatness even faster? Talk to me about the Flourish Personal Development Gym and joining the Tools to Thrive By program.